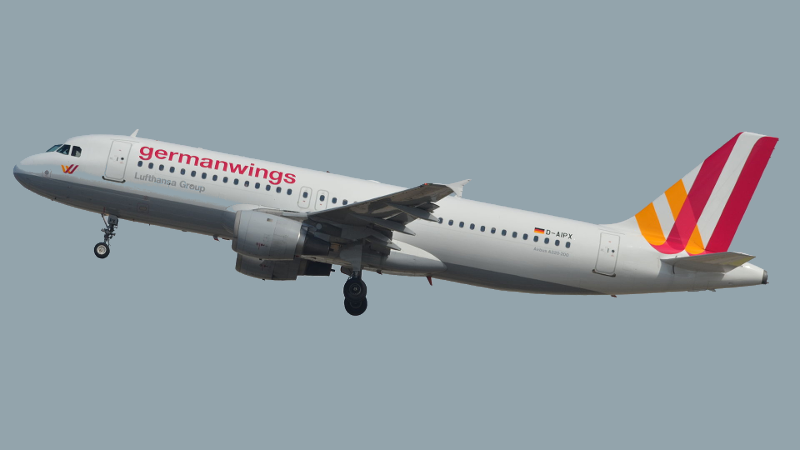 In the wake of Germanwings Flight 4U 9525’s tragic crash, there has been much talk about how this will affect the aviation industry going forwards. Will all airlines adopt the "rule of two" cockpit procedure? Should there be more intense scrutiny of pilots’ mental health? The debate over what can be done to limit a repeat of the catastrophe will rage on and on, but away from the human causes and aftermath, there is an existing technological solution that could potentially have saved the lives of all 150 on board. Back in 2006, a patent was granted for the Boeing Honeywell 'Uninterruptible' Autopilot System, a remote method for gaining full control of an aircraft from the ground. The feature removes the pilot from the equation and would prove valuable in the event of a terrorist attack or any other deliberate attempt to crash the plane. "The 'uninterruptible' autopilot would be activated -- either by pilots, by onboard sensors, or even remotely via radio or satellite links by government agencies like the Central Intelligence Agency, if terrorists attempt to gain control of a flight deck", according to a report made at the time of the patent approval. "There is a need in the industry for a technique that conclusively prevents unauthorized persons for gaining access to the controls of the vehicle and therefore threatening the safety of the passengers onboard the vehicle, and/or other people in the path of travel of the vehicle, thereby decreasing the amount of destruction individuals onboard the vehicle would be capable of causing". The system even has its own power supply, completely independent of the rest of the craft, meaning that the autopilot mode will remain engaged until the plane has landed. In fact, although the patent was only granted nine years ago, it has been possible to remotely control vehicles for much longer. Inventor Nikolai Tesla demonstrated his own remote controlled toy boat to a stunned New York crowd back in 1898, and more recently airborne drones have been used by both the military and technology enthusiasts. There is even a precedent for remotely controlling large commercial aircraft. In 1984, a NASA controlled impact test used a remotely controlled Boeing 720 aircraft to ascertain the effectiveness of a new fire retardant. The test saw the craft take off, ascend to an altitude of 2300 feet and then deliberately crash land, all without any onboard input. Considering that this was possible more than 30 years ago, it would be understandable if the calls for remote controlled commercial aircraft became louder. However, a remote controlled system is not an all-questions-answered solution, in fact it may pose more security questions. The main reason why the Boeing patent has not been formally implemented is due to concerns that the system could leave aircraft vulnerable to hacking. Hacking already poses a genuine threat to aviation security and opening up more ground to air communication channels ultimately means more opportunities for attackers. During 2013’s Hack in a Box conference, ex-commercial pilot Hugo Tesa claimed that he could hack into a plane’s ACARS system, simply by using a smartphone app and a desktop computer. If aircraft can be controlled from the ground, flight companies must entertain the possibility of hackers, perhaps terrorists, hijacking aircraft remotely. While this security pitfall is significant, there are possibly numerous others that haven’t yet been thought of. Often the introduction of new features can result in unexpected issues -- after all, it was the post-9/11 cockpit door system that ultimately locked out the pilot during Flight 4U 9525’s final journey. Although security concerns may have grounded any remote control systems for the time being, this is unlikely to remain the case for long. The growth of the Internet of Things will surely see more and more individuals become comfortable with the idea of increased wireless communication. Connected cars will also be at threat from hacking, but if these gain mainstream adoption, surely aircraft won’t be far behind. The crash of Germanwings Flight 4U 9525 was a devastating tragedy, and anything that technology can do to help prevent a repeat of those events should be considered. However, now is not the time for knee-jerk reactions and new technologies must always be carefully assessed before being implemented.